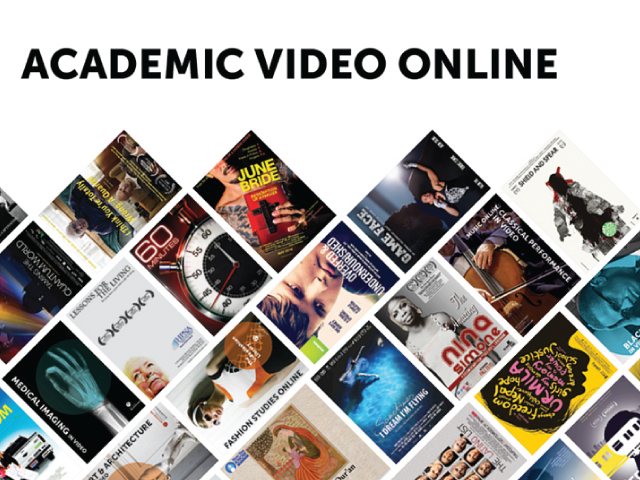 Academic Video Online is the most comprehensive video subscription available to libraries. It delivers more than 62,000 titles spanning the widest range of subject areas including anthropology, business, counseling, film, health, history, music, and more. More than 17,000 titles are exclusive to Academic Video Online. Curated for the educational experience, the massive depth of content and breadth of content-types (such as documentaries, films, demonstrations, etc.) in Academic Video Online makes it a useful resource for all types of research (Alexander Street Press).